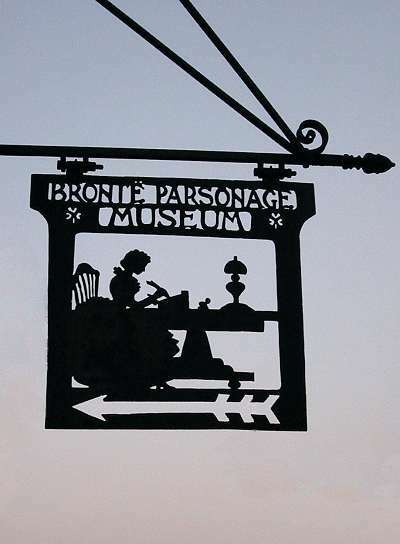 The Brontes moved to Haworth from Thornton in 1820 where the Reverend Patrick Bronte was appointed Curate of Haworth. 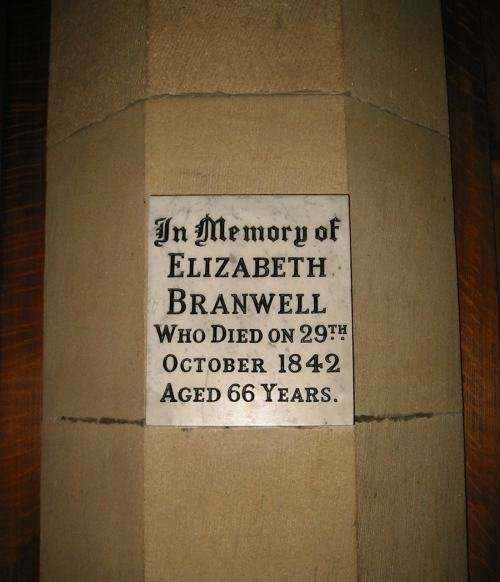 Mrs Bronte died of cancer on 15th September 1821, leaving her sister, Elizabeth Branwell to care for the 6 children. 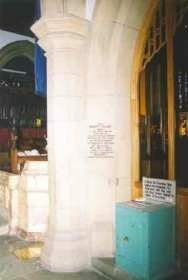 In 1825 Maria, and Elizabeth died. For the next six years Charlotte, Emily, Anne and Branwell were to stay at the Parsonage, where their creativity is evident in the tiny manuscripts about fantasy worlds such as Gondal and Angria. In 1831 Charlotte worked at a school in Mirfield, Branwell began to try and become a portrait painter with little success. Emily worked for a short time at a school in Halifax. Anne worked as a tutor to the Robinson family. For a while Branwell joined Anne as a tutor, which reportedly ended in disgrace for allegedly having an affair with his employer's wife. 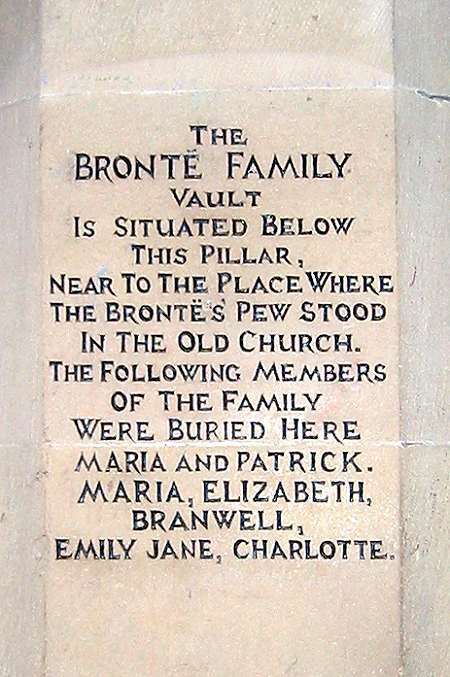 In 1845 the Family were all together again in Haworth, they used the legacy from their aunt Branwell's death in 1842 to finance a collection of their poems. 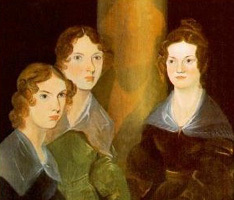 The Brontes, published under the pseudonyms of Currer, Ellis and Acton Bell, this was due to the fact that they lived in an age of prejudice against female writers. 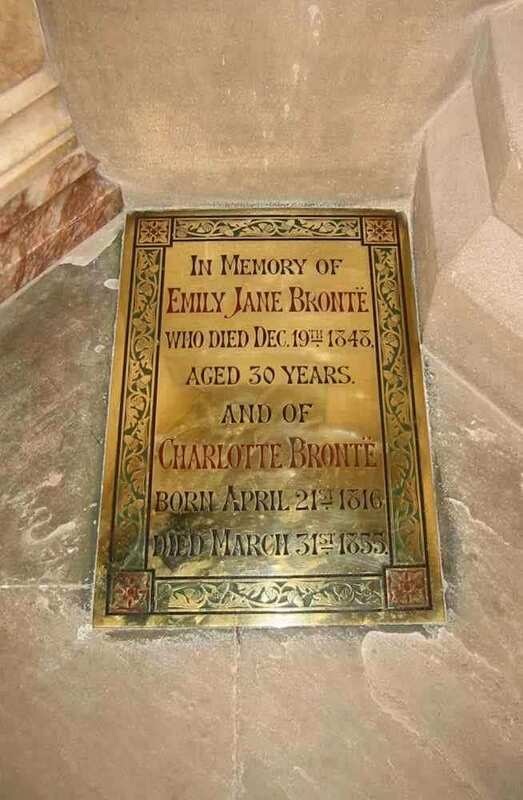 Charlotte's novel Jane Eyre (1847), Emily's Wuthering Heights (1847), and Anne's The Tenant of Wildfell Hall (1848) were written while at the Parsonage. 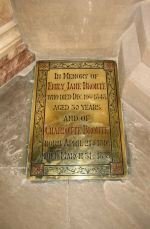 Charlotte continued to write and published two more novels: Shirley (1849), and Villette (1853). She married Arthur Bell Nichols her fathers curate, on 29th June 1854. Begins but does not finish a novel, Emma. It was a short marriage, (marriage license here...) Charlotte who was pregnant died on 31st March 1855 aged 38. In 1857 Her previously rejected novel The Professor is published posthumously. 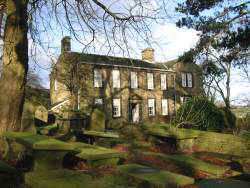 Patrick Bronte continued to live at the parsonage, and died there on 7th June 1861 aged 84.